More than three years after Carol Glover died when smoke filled a train near L'Enfant Plaza, Metro is still working on new tunnel and ventilation system inspection and maintenance procedures, ways to identify the location of smoke in tunnels and regular testing of smoke detectors. WASHINGTON — More than three years after Carol Glover died when smoke filled a train near L’Enfant Plaza, Metro is still working on new tunnel and ventilation system inspection and maintenance procedures, ways to identify the location of smoke in tunnels and regular testing of smoke detectors. The transit agency updated its progress report last week on corrective action plans tied to Federal Transit Administration directives, National Transportation Safety Board recommendations and internal reviews. While a number of the more extensive fixes could take several more years, and about 34 percent of all items have already been addressed, a number of other problems remain pending after Metro had originally estimated they would be resolved. Among the worker safety issues, Metro is only just beginning to test technology recommended by the NTSB back in 2004 to warn train operators when they are approaching workers on the tracks. Metro has also promised new safety railings in maintenance shops and to follow OSHA rules for hearing protection and flammable gases, as well as new guidance on how to keep a train from rolling away on the tracks before beginning to do maintenance on it. From the L’Enfant Plaza incident, Metro has yet to finish revisions to tunnel inspection, maintenance and repair procedures to address water leaks and has not finished implementing and training Rail Operations Control Center workers on procedures when smoke detectors go off. Metro says it has now fully staffed the control center, two years after Metro initially said it would be done. 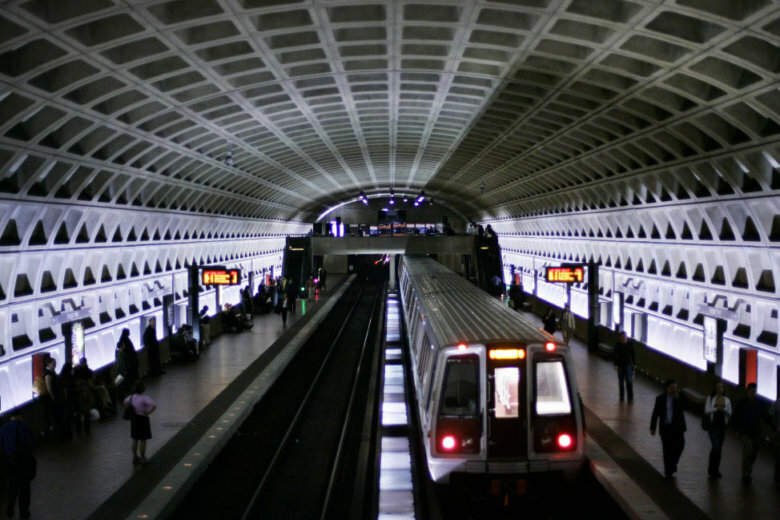 Those workers still need recertification plans, and Metro is still addressing FTA concerns about noise, heavy workload and distractions in what is the equivalent of the rail system’s air traffic control. Metro has not closed a recommendation to test all smoke detectors regularly. The agency has looked into new smoke detector options that could meet a requirement to better identify the location of smoke or fire in tunnels and stations. One of the options is expected to be installed in coming years. Separately, Metro is analyzing improvements to the tunnel fan system that would help remove smoke in the event of an incident. Until then, plans for location-specific ventilation fan usage are under review by the feds, as are steps to be sure train operators know how to shut down railcar ventilation in the event of an emergency. Metro is developing a process to review passenger complaints on railcar intercoms. The agency has not yet developed formal inspection, reporting and cleaning procedures to keep emergency exit pathways clear of tripping hazards. Inspections, maintenance Metro is still addressing comments from the FTA about scheduling enough track time for required inspections, testing and maintenance, including minimum time required for workers to complete their tasks each month. Metro has yet to complete revisions to track maintenance standards. “WMATA is reassessing track walker and track inspection supervisor job descriptions, skills and requirements,” the tracking data said. Metro does now have a plan to hire more people to work on track inspections and maintenance, but is just implementing a five-year staffing plan to address a backlog of work. The FTA asked Metro to revise its review of track inspector workloads, which includes a suggestion to use more non-inspectors as watchmen, and is now reviewing Metro’s plans to better take advantage of track time through interdepartmental cooperation and hiring enough workers to eliminate the maintenance backlog. Metro has yet to meet an internal goal to establish formal processes to complete critical inspections on schedule and to revise documents and data entry to be sure Metro’s defect database is trustworthy. In general, the FTA is still waiting on additional Metro responses to whether train schedules match reality. A number of safety rules implemented in recent years, such as a requirement to wait five seconds before opening doors at a station, have added time to trips. Metro is past its due date on a review of its signal system and training, meant to help limit the number of trains running red signals. The agency is still working to put line identification and direction signs in tunnels, and has selected a technology solution that would automatically stop trains from moving past a red signal without explicit permission. Actually implementing that “positive stop” system would take significant time, since Metro has not yet put the program out for bid. Oversight by supervisors generally is an issue Metro is still trying to address — from checking for trains exceeding speed limits and proper radio communication to providing proper training and feedback on how to improve repairs or track unfinished maintenance and inspections. Metro is past its deadline for a new comprehensive fire safety testing and maintenance training program. Metro is still studying ways to address stray electrical current that can contribute to some smoke and fire incidents or otherwise speed decay of pieces of the tracks.